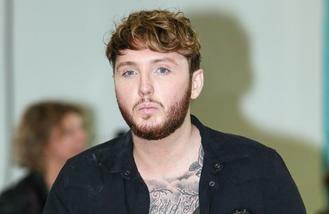 James Arthur says he won't face legal action from The Script. Last year it was claimed the former 'X Factor' star's song 'Say You Won't Let Go' had a number of similarities to the Script's 'Man Who Can't Be Moved' but James insists nothing ever came of the controversy. He told The Sun: "Nothing ever came of it. There was no case. It's 2017, there's only seven notes in music. "Every blues song sounds the f***ing same. People get a bit wound up about these things for no reason." In 2016, it was claimed that The Script had hired a music expert to prepare a report on the similarities between the two songs. A source said at the time: "'Say You Won't Let Go' is already one of the biggest singles of the year so this is a real hammer blow. "There is no doubt the songs sound alike and have a similar chord progression. "James has just got back on the straight and narrow after a difficult few years and a lawsuit is the last thing he needs." Meanwhile, James recently admitted he "hit the self-destruct button" when he first found fame. The star - who had a successful comeback last year - feels he succumbed to the pressure of his rise to fame and coupled with not being "mentally in a good place", he found himself spiralling out of control. He shared: "I wasn't really mentally in a good place before I did 'The X Factor'. The pressure got to me - I was having these bad anxiety attacks all the time. The way that I would deal with that was by self-medicating; it spiralled out of control. I hit the self-destruct button." Jonas Blue poured a full cup of hot chocolate over himself after last year's BRIT Awards. Adam Levine is celebrating after becoming the latest celebrity to unveil a star on the Hollywood Walk of Fame. Kendall Jenner reportedly still holds a torch for Harry Styles. Singer Jamie Lynn Spears has thanked the paramedics, doctors and nurses who helped save her daughter. Gigi Hadid was unable to play it cool for longer than 10 minutes on her first date with Zayn Malik. Taylor Swift's unreleased music travels under lock and key. Madonna has clarified the names of her newly-adopted twin daughters in a post on Instagram. Big Sean has told his younger self his job as a rapper will start before he's a teenager.